The beautiful original front door was kept, the bedrooms have parquet floor while the rest of the house tiled with antique Javanese tiles. All doors and windows have been manufactured with the centennial wood retrieved from the original building. Each bedroom has a private bathroom made of polished concrete, terrazzo, volcanic stone and a touch of ironwood (Ulin). The large glass pergolas allow the light to bathe the tropical plants that brighten up the bathrooms. The kitchen made of dark gray polished concrete is delimited by a wooden bar in front of which stands a spacious area which offers a 180 degrees view on the lush tropical garden. This room includes a dining table, a TV corner, and a lounge with its comfortable sofa as well as a terrace furnished with 4 Soo Santai bean bags. In the middle of the garden, the turquoise water of the swimming pool incites you for a cooling bath. Next to the pool, the sun beds await you for a moment of extreme relaxation. A few steps away, stands the Gladak that shelters the 3rd bedroom in a typical Balinese atmosphere. 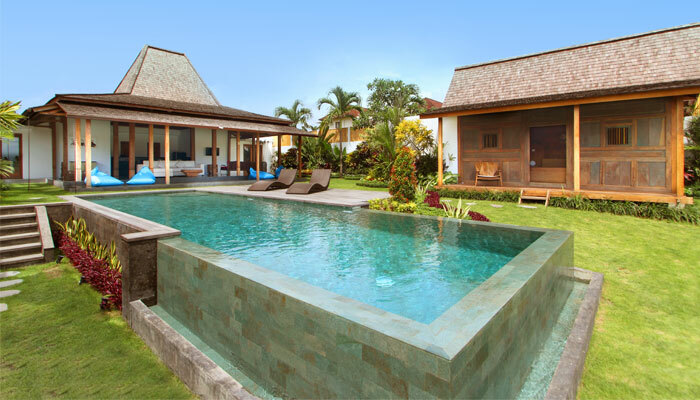 The villa is located in the heart of the Balinese life at the end of a quiet alley adorn with flowers. Monsieur Spoon, the best French bakery & pastry in Bali is only 100 meters away, the center of Seminyak is just at 5 minutes and it takes 30 minutes to drive from Bali International Airport. 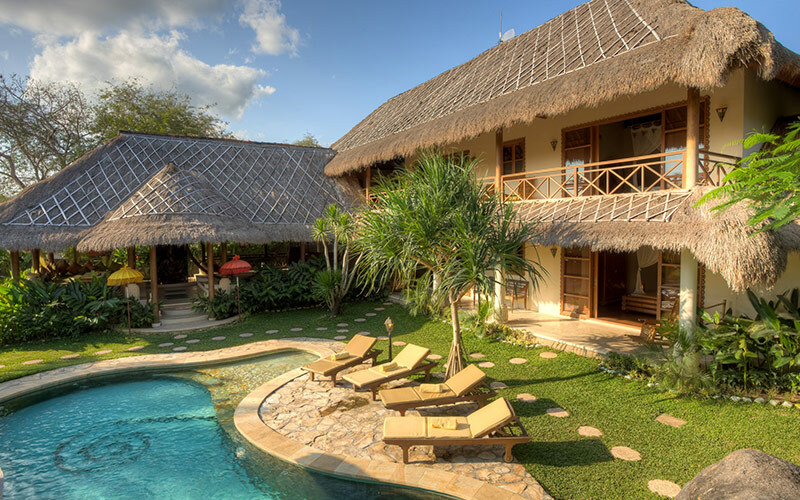 You have review for Villa jati?